I was one of those disgusting school children who actually liked to take tests and quizzes! I know, I know, you just hated those types who, when the teacher said "We're going to begin today with a QUIZ," eagerly grabbed a pencil and waited expectantly for the first question, while the rest of the class groaned and tried to hide under their desks. 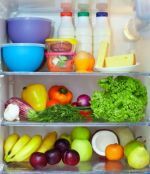 Hopefully, by now, the idea of a quiz won't cause you to break out in a cold sweat, and instead, you will have fun testing your knowledge with this basic nutrition quiz. All you have to do is decide if the statement is True or False. The correct answers follow the quiz. 1.True or False - Nutrition is not a science. 2.True of False - Protein, Carbs and Fats all provide energy for your body. 3.True or False - Vitamins and Minerals do not have any calories. 4.True or False - Water is considered a nutrient. 5.True or False - The RDA stands for Russian Dodgeball Association. 1. FALSE. Nutrition--the study of the substances found in food and how they work in the body—is actually a science, albeit a relatively new one. This means that what we believe about nutrition should be based on reproducible experimentation and carefully controlled studies. Unfortunately, some of the nutrition information we hear in the news smacks more of junk science than real science. For this reason, when you hear about a new study related to food, read the article carefully—not just the headline—and pay attention to (a) who funded the study, (b) the size of the study and (c) what other reputable scientists are saying about the study. With this information in mind, and a modicum of common sense, you should be able to decide for yourself whether the conclusions are valid, and more importantly, if it will apply to how you, personally, will pursue a healthy eating lifestyle. 2. TRUE. Protein, Carbs and Fats all provide energy--more popularly known as calories. Protein and Carbohydrates have about 4 calories per gram, while fats are denser with about 9 calories per gram. Most people associate Carbs with calories and even Fats, but Protein, in addition to all of its other functions, can not only be used for energy, but can also be stored as body fat. The popularity of the Atkins Diet and other high protein diets, has given the mistaken impression that only Carbs can make you fat, but too much of any of these energy nutrients can cause you to store the excess under your skin or even worse around your vital organs. 3. TRUE. Although Vitamins and Minerals are important nutrients, they do not provide any calories. That means that, when you take your multi-vitamin and mineral tablet and wash it down with water, you have not added in any significant way to your calorie intake for the day. However, these nutrients are involved in most of the processes going on in your body every moment of every day. A deficiency in any one of them would have a negative effect on your overall health and well-being. Calories? No. Vital function? Yes! 4. TRUE. Water is a nutrient, and sometimes considered the most important nutrient of all, since, unlike the other nutrients, you cannot survive more than a few days without taking in water. Water is the main component of your body, and is necessary for most of the processes that are constantly going on inside of you. Although health experts can’t agree on how much water you need to drink each day, most say that at least 8 glasses of this matchless beverage should keep your body running smoothly. Interested in another nutrition quiz? Check out our the following Nutrition Quizzes? Click on the links below to go to additional nutrition quiz pages. Have something to say about the topic of healthy eating? Send us your take on a healthy eating topic that interests you. Once approved, your story will appear on a Web page with its own URL. Click here to go from Nutrition Quiz page to Nutrition Facts Page.